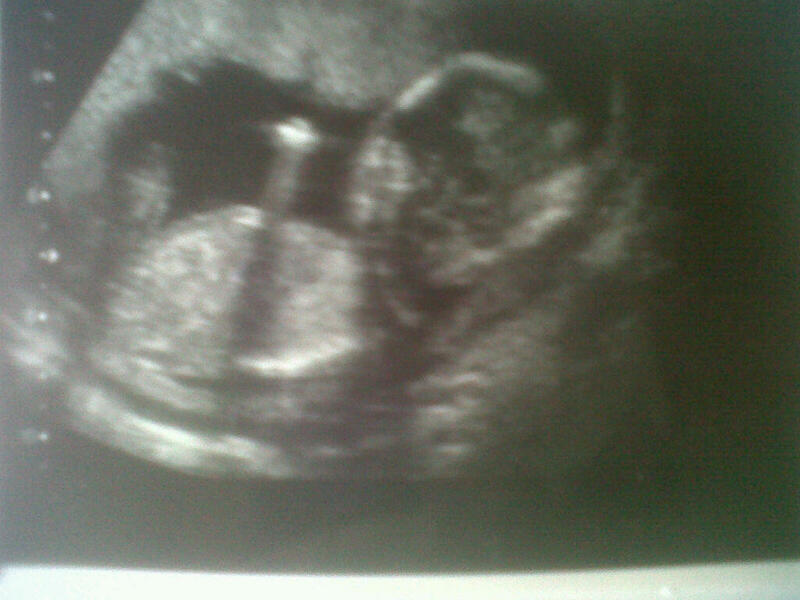 This was our first scan picture.Will update with more recent ones very soon. So, as some of you may know (those who know me IRL and who follow me on Twitter), I went for my 24 week scan today. 24 weeks, I hear you say? Not everyone goes for those – and this would be true. I’m not too sure if I mentioned this in previous pregnancy posts, but there were some concerns when we went for our first scan, & we had to have certain tests done to rule out any chromosomal or heart disorders. Our results came back 99.9% clear, but as a precaution, we have to have a couple more scans than the average couple do. I also found out I have an extremely rare blood type too, so I have to have injections at different stages throughout my pregnancy – this baby’s certainly making everyone work hard! This morning, we arrived at the hospital bright & early – well, I say bright, perhaps grumpy would be more fitting (what? Its my day off :P) and sat in the waiting room for about ten minutes before being seen. Now, as I mentioned in the previous paragraph, because of the tests we had, we had to see a doctor of fetal medicine for our scan, rather than a normal midwife or sonographer. He worried us slightly when he kept focussing on the heart for what we felt ourselves was perhaps a bit too long, however he soon reassured us that everything was fine as far as he could see. Am I right/wrong to be? Have any of you with children encountered a breech birth? I’m not sure what I’m looking for, reassurance perhaps, and perhaps I’m just being silly, but any tips or advice would be welcomed gratefully. I can't claim to be an expert, but through work I know a lot of babies are breech at your stage and often turn! Thanks Laura, all I need is a bit of reassurance lol. I'm not one to give medical advice, but I know this happens a lot and the baby almost always turns. I'm sure if there was anything to worry about they would have said.